Meet Baby Boe and the crazy beautiful family she was lucky enough to be born into. I love her name (the "e" is silent) and I love her family. That's Dad, holding his FOURTH baby girl. Right before I left, Sister #2 Bella asked for her own picture with Dad. It ended up being my favorite shot of the whole session. Bella I hope you hang this in your room, it's beautiful just like you. ~ Ramie and Matt ~ MARRIED! Ramie and Matt never stopped smiling on their wedding day. They are 2 of the most genuinely happy in love people I have ever met. It was clear from the beginning of the day how much everyone loves two people. They had a packed church, in a tiny town, with weather that was nearly perfect for a mid-west summer day. As if I didn't already love Ramie enough…she did something that in 9 years I've never seen a bride do. After the speeches and toasts, she took the microphone in her own hands, as she blinked back tears and thanked her parents. Thanked them for giving her the wedding she had dreamed about since she was 4 years old. It was genuine and kind and straight from her heart. The whole room let out a thunderous applause and this is a photo of her parents in that moment. One of my favorites. 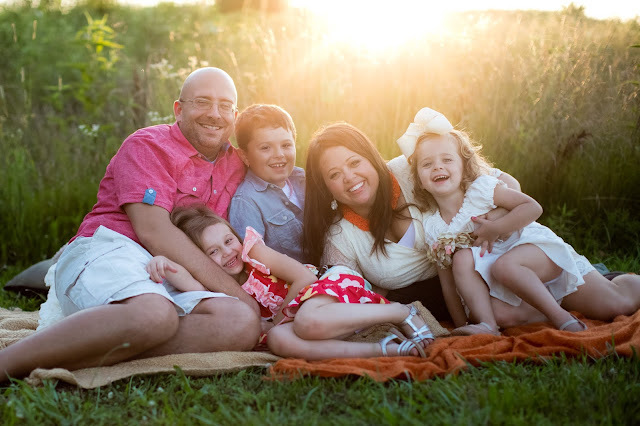 ~ The Manno Family ~ The other side of the camera! My sweet and talented friend, Donna Harris captured some pictures of my family earlier this month. 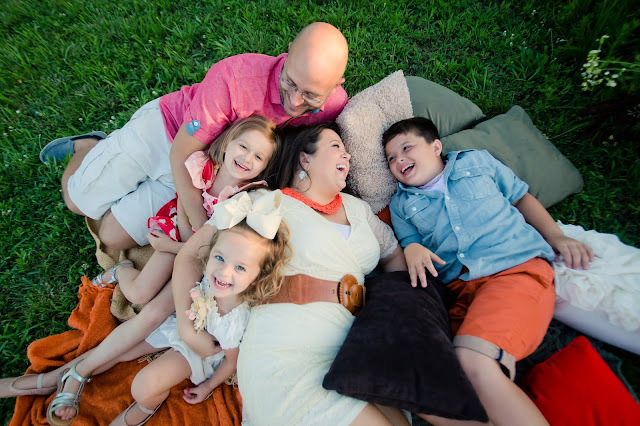 She posted several of them on her blog and wrote some very sweet words about our family. You can see the link here. I cannot thank her enough for these great photos, I will cherish them forever. We also had a video made with TJ Ingrassia. Anytime someone needs a wedding videographer he is one of the first names that comes out of my mouth. 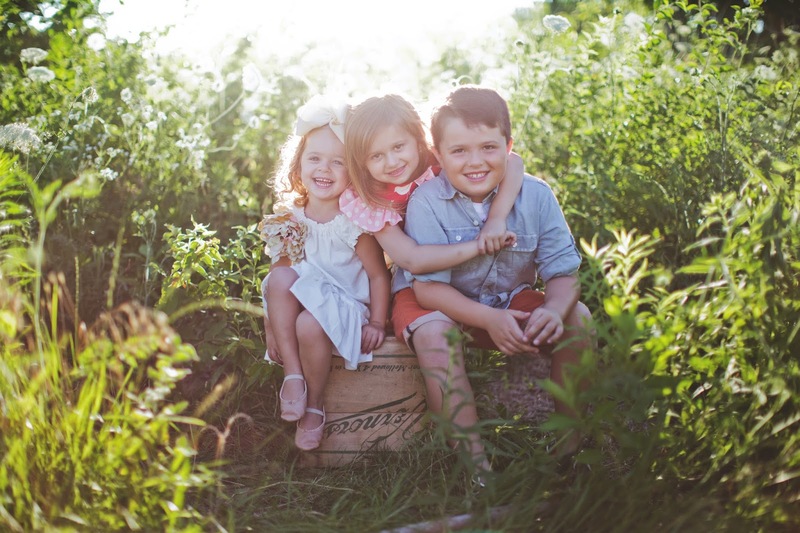 He also does these adorable family videos with Donna and other photographers around town. A couple of months ago I was leaving to take Rocky to a birthday party and this weird little car comes zipping down my street. It looked like something out of a Dr. Suess book, bright colors with a weird apparatus on the top. I stared at it as it drove through and circled our cul-de-dac twice. 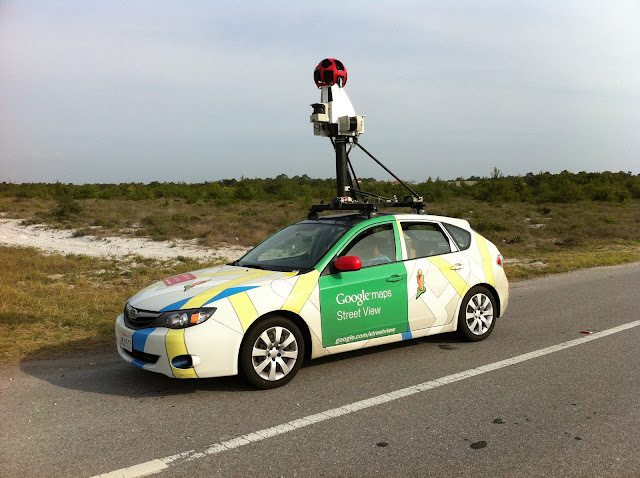 When it got close enough I read side door "Google Maps - Street View" car. Awesome... you A-holes, because I love having my photo taken for the internet in my front yard un-announced. I instantly did that thing where you press your forearm to your chest to check and see if you're wearing a bra. I do the same thing if I see a neighbor coming over to talk to me. If I have an entire conversation with you with my arms crossed. Yep, no bra. I looked down to see what I was wearing and I was actually proud of myself. After all, it was a Sunday afternoon. If I didn't have somewhere to be I would have been standing in the grass with bed-head wearing my old Notorious B.I.G. t-shirt and my husbands boxers. My neighbors love me, I class up the place. I griped about it on Facebook and carried on with my day. Well, look what Rocky found on the computer over the weekend. It was nice of them to blur out my license plate and face, but I really wish you could have seen the dirty look I was giving the driver for going so fast down our street. I have 2 complaints for the Google Maps people. Number 1. Give us a little warning, us Manno's love attention, if we had known that car was coming into our neighborhood we would have put on a real show for you in the front yard. Number 2. Don't you people own Photoshop? Can't you help a sister out with the spare tire area? 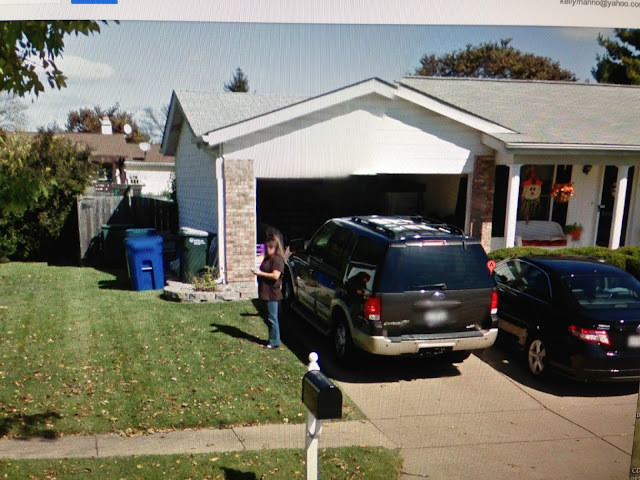 Have a great week and remember ladies : always wear a bra in your front yard, even if you're just taking out the trash because you never know when the Google Maps car is gonna getcha. Little baby Henrik had so much personality. Even when he was sleeping :) Mom and Dad are very blessed with this sweet little one. Enjoy.